Rally championship is a truly spectacular and risky event. Fort Monitor immediately reacts to emergencies on the track and prevents unsportsmanlike conduct during competitions. Off-road conditions, huge speeds and burning desire to be the first – you may find all of these and much more from May to September in Belarus in the rally spring championship. Fair decision making is critical – every second counts. 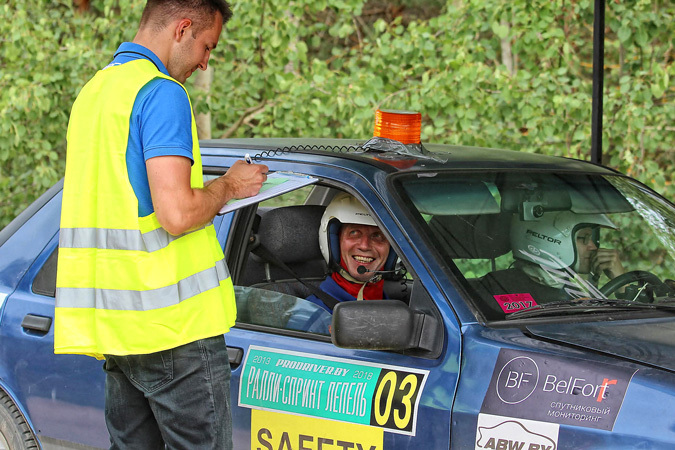 To ensure fair and safe games, the organizers of the event, PRODRIVER RACING team guided by Belarus Automobile Association, equipped all the participants with Fort Monitor monitoring systems. Installation of the system was made by Belfort Monitoring LLC, our official partner in Belarus. Fort Monitor equipment demonstrated high speed and stable operation even in the severe condition of a sports event. The monitoring system immediately responds to emergencies on the track and sends notifications about speeding and deviation from the route to prevent unsportsmanlike conduct and simplify decision making.